BlackBerry users, here is the news that you don't want to hear ! Facebook-owned WhatsApp and is dropping support for BBOS and BlackBerry 10 devices at the end of the year, now Facebook itself will discontinue supporting the platform. That means the Facebook and Messenger apps will no longer work on either platform. The announcement was made on the Inside BlackBerry blog last week. BBOS runs on older BlackBerry devices, such as the Bold. 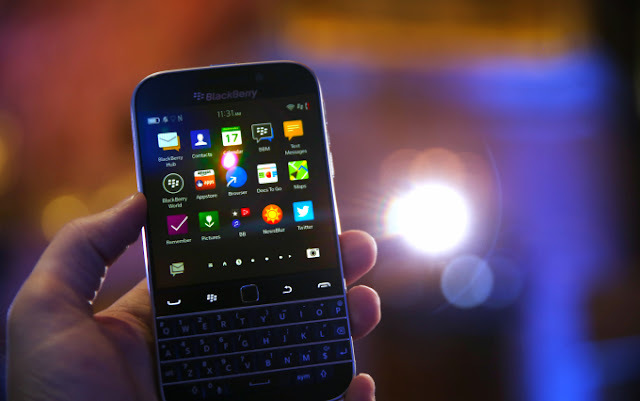 BlackBerry 10 powers more recent devices such as the Passport and Classic. BlackBerry 10 operating system in favor of Android-powered devices, such as the BlackBerry Priv ,will continue to be able to run the Android version of facebook's apps. On the othert side, BlackBerry 10 users can still download and install the Android version of the Facebook app through the Amazon App Store, or use the mobile Facebook site to access their accounts. BlackBerry 10 has long included the ability to run Android apps, but it’s not the best experience. Often features don’t work, or apps fail to open at all.